We will run a maintenance on the system database improvement. 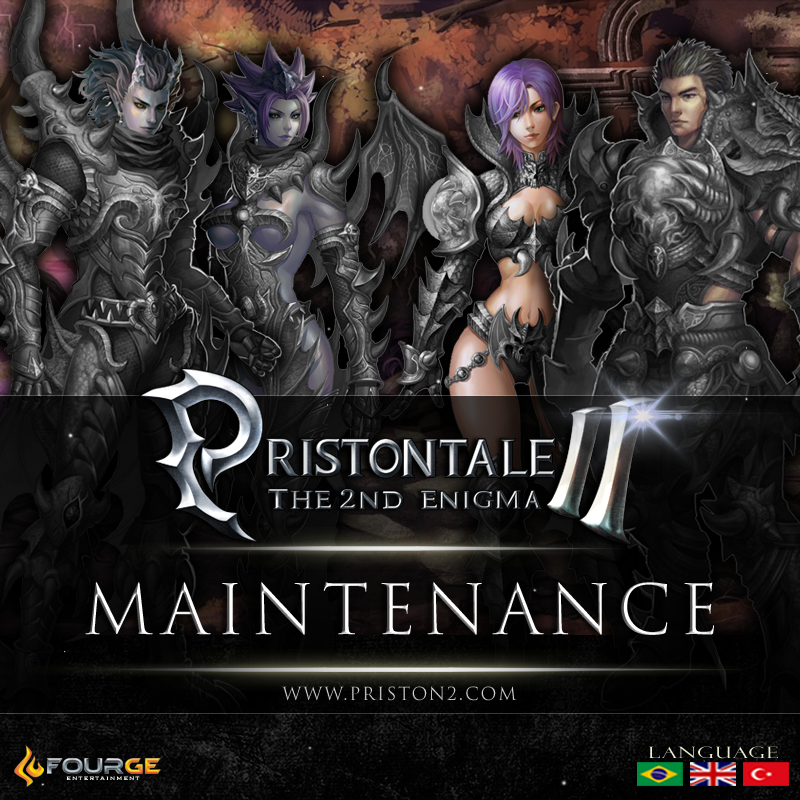 As it is expected to last all day, our server, site and Item Mall will be unavailable during maintenance. It will start at 10:00 GMT, with duration approximately 20 hours. Ola! GM por favor verifica meu EMAIL no jogo ninguém consegue enviar itens para meu personagem magrao, Agradeço! Olá, estamos terminando, em algos minutos o servidor voltará! So when will the server go online? Hello, we are work on this. Bom dia, estamos trabalhando pra voltar o servidor o quanto antes.